To make further progress in the fight against cancer, ACS is strengthening its commitment and action toward addressing cancer disparities and achieving health equity. We continue our path forward within the Healthy Communities mission platform to support the opportunity for everyone to lead healthier lives, including preventing, treating and surviving cancer. 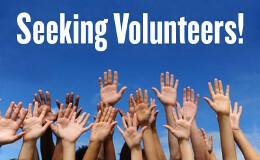 As part of the ACS's partnership with the Robert Wood Johnson Foundation, we are looking for volunteers and staff to join the National Health Equity Workgroup. This workgroup will support a goal of developing volunteer engagement strategies that will build awareness, education, and action. For more detailed information about the workgroup, please read the overview document available on My Society Source. The deadline to apply is November 30 and you can submit your application by filling out the form online.